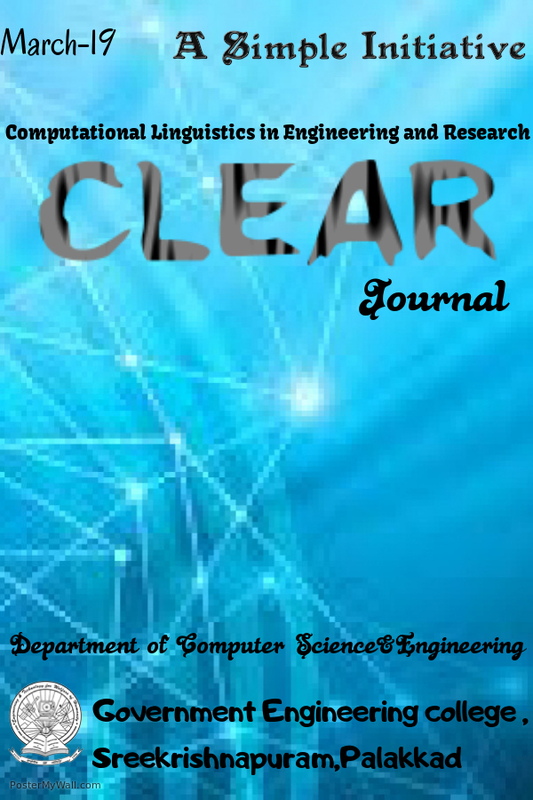 The third issue of CLEAR published on March 30, 2013. 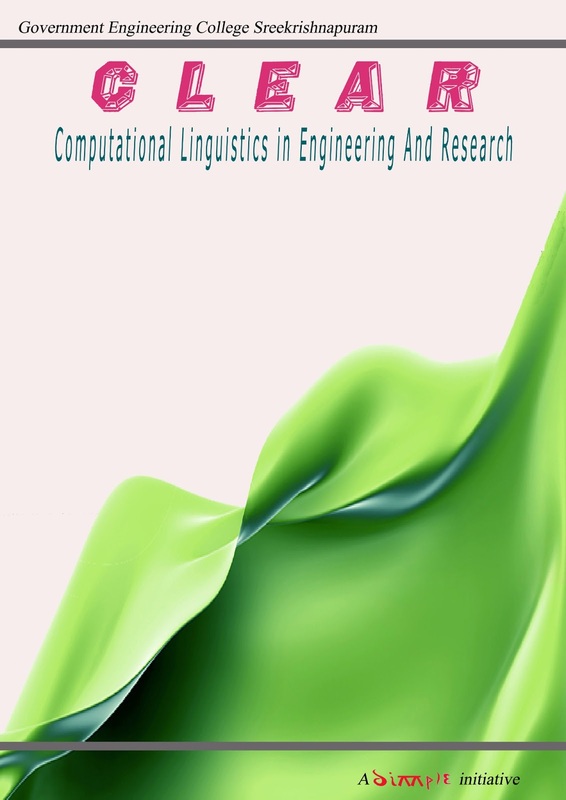 The magazine in this issue discusses a new paradigm for information retrieval in Malayalam, relevance of Sanskrit in the context of AI, some trends in Semantic web and google translator. The next issue will be on Jun 2013. 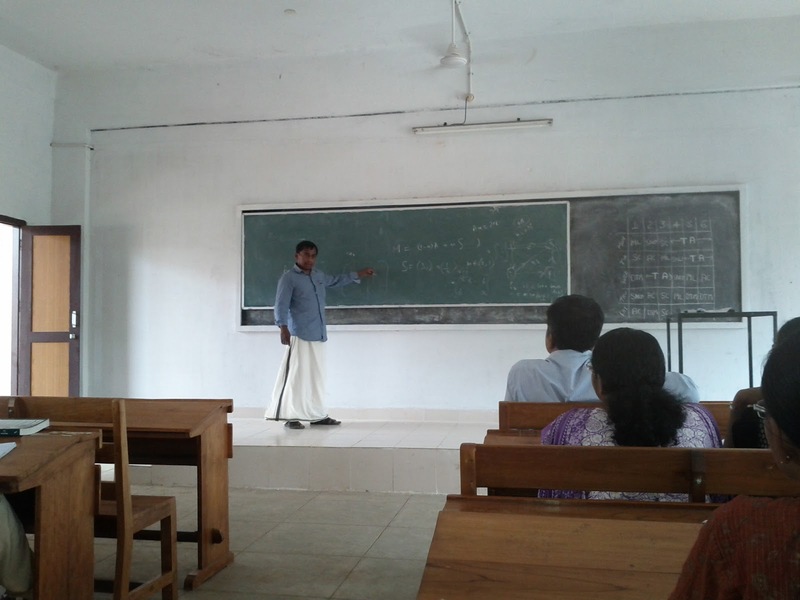 Monday 11th March , Prof: N Narayanan of Dept of mathematics, IIT-Madras delivered a lecture on Graph theory and Eigen values, for M.Tech students. 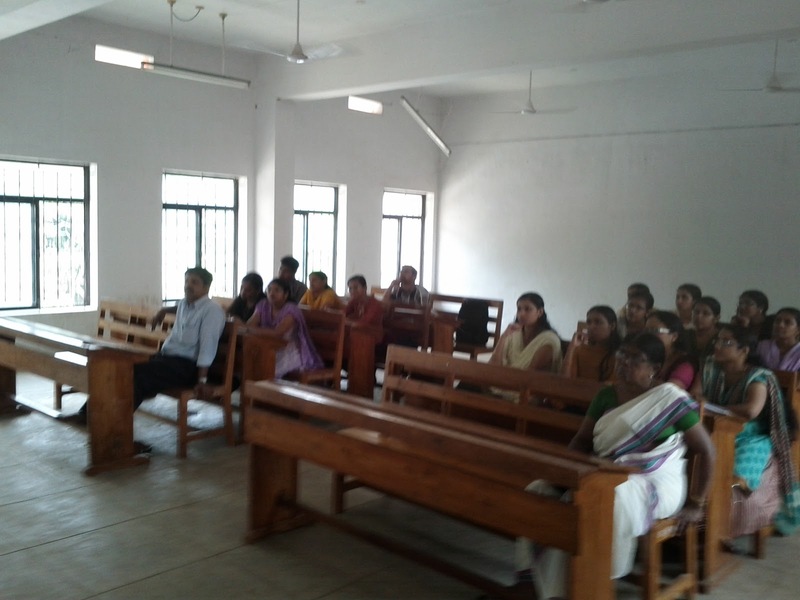 The class was highly motivational and useful for the participants to get a clear understanding of the concept. Later, he interacted with the students in brief about the application of eigen values in language processing. Faculty members of Dept. of CSE also attended the program.The simple but energetic way of presentation by Prof: N Narayanan inspired all the students. The third National Congress (NATCON 2013) sponsored by initiated by Centre for Engineering Research and Development (CERD), was held at Rajiv Gandhi Institute of Technology (popularly known as RIT), Pampady, Kottayam. The congress was the part of reaching the Government's objective to improve the research activities at engineering colleges. The two day congress conducted on 1st and 2nd March of 2013, became a platform for academicians, researchers and student engineers to showcase their innovations. Sreejith C, Nibeesh K, Indu M, Sreeja M , Lekshmi T S ,Athira , and Sruthimol of Second semester M.Tech Computational Linguistics represented SIMPLE Groups at Kottayam. Robert’s 'GARUDA' Flew to success!!! Robert Jesuraj of SIMPLE Groups, won the first prize in GARUDA Challenge 2012 . The competition was conducted by CDAC for GRID enthusiasts. The winner received certificate, memento and a cash award of Rs. 50000/-. The GARUDA challenge aimed to provide an opportunity for researchers, engineers and analysts to showcase compute-data intensive scalable applications that solve real-world, complex problems. The participants included students, researchers and industrialists from all over the India. They submitted several big-data problems and showed how that can be solved with grid technology.